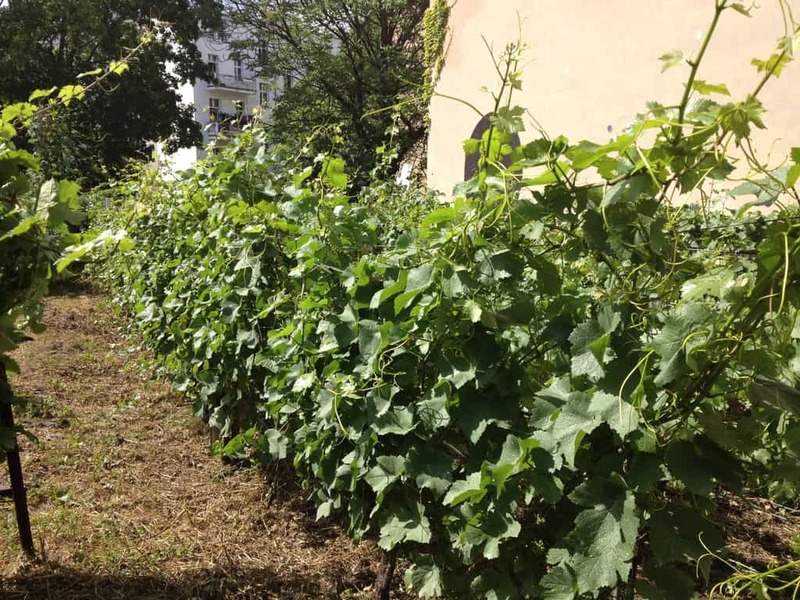 Finally, June 24, 2017 had arrived: it marked a special day for us, the volunteers of the Kreuzberg vineyard in Berlin. It’s the day we had all looked forward to with quite some excitement: famous winemaker Simone Adams was coming to “our vineyard” to launch the first red wine ever made from grapes of this vineyard, the 2014/2015 Kreuz-Ingelberger. Up to date yet? Good! 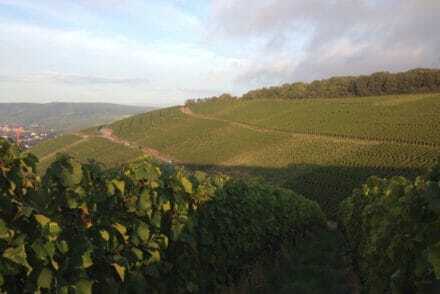 Yes, the fruits of this vineyard have produced wine for nearly 50 years – very often a good Riesling and otherwise a rather sweetish rosé, but never a red wine per se. Which was a pity, because we have finest Pinot Noir vines growing in this vineyard – and, old vines! The Kreuzberg crew! Back row, L-R: Stephan, Timo, Oliver and Jörg; front row, L-R: winemaker Simone Adams, Silke, Matthias and Peter. Photo: Megan Spencer (c) 2017. 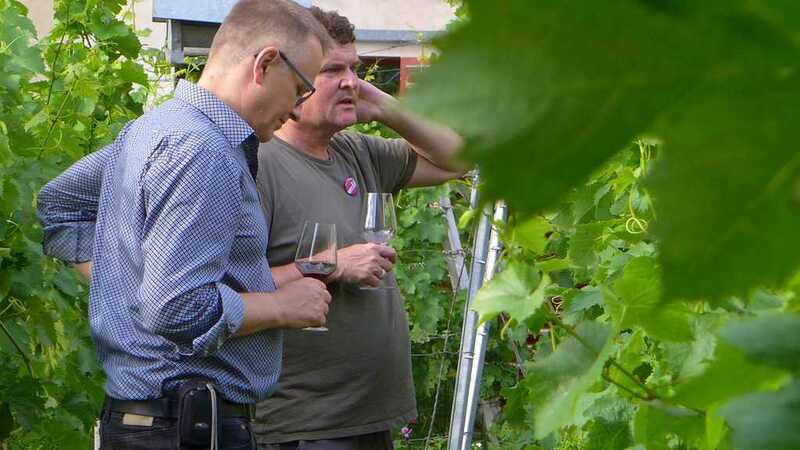 As my guest for this episode Timo Bieber tells it (Timo co-manages the community vineyard project with Peter Hahn), after the 2014 harvest, the Ingelheim–based winemaker of the rosé was suddenly unable to make it anymore. 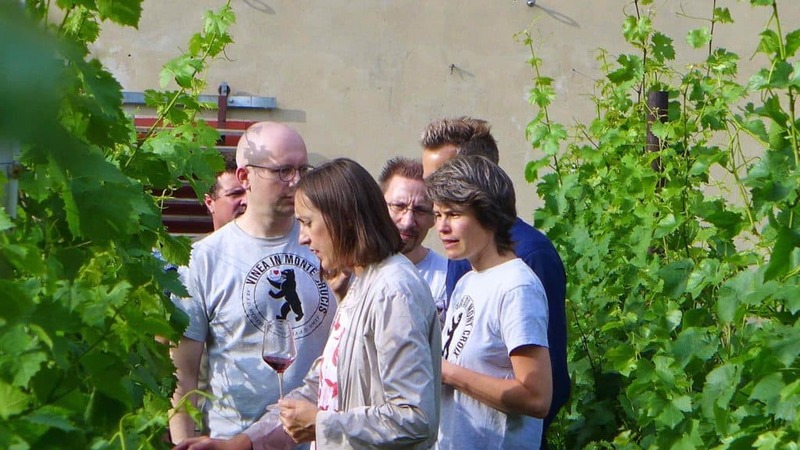 Luckily, then-manager of the Kreuzberg vineyard, Hauptstadtwinzer Daniel Mayer, remembered his alumni from the famous Geisenheim Wine University, winemaker Simone Adams. 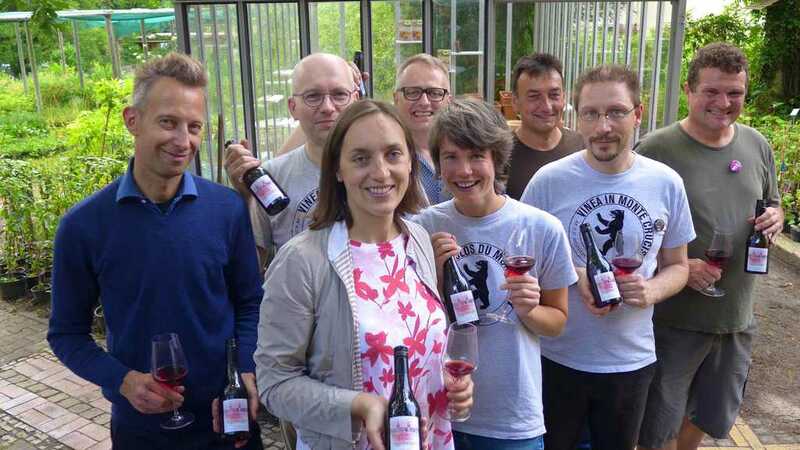 And luckily Simone was also based in Ingelheim, which is important as Ingelheim is Berlin’s sister city, the city which donated the vines to Kreuzberg in the first place, in 1972. 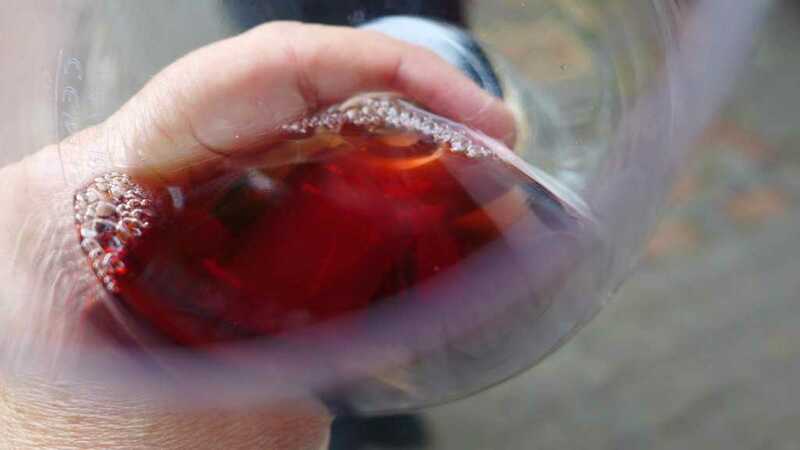 As you can possibly already tell: there’s wonderful “only in Berlin” wine story here, and some magic in the making of the inaugural Kreuz-Ingelberger. 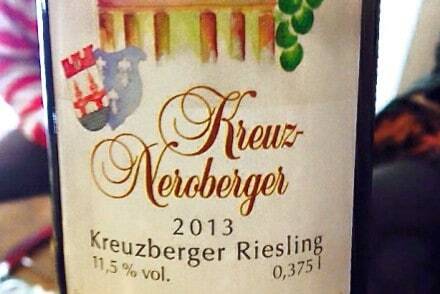 Grown in Berlin: the “Kreuzberger Neroberger” riesling. Photo: Megan Spencer (c) 2017. 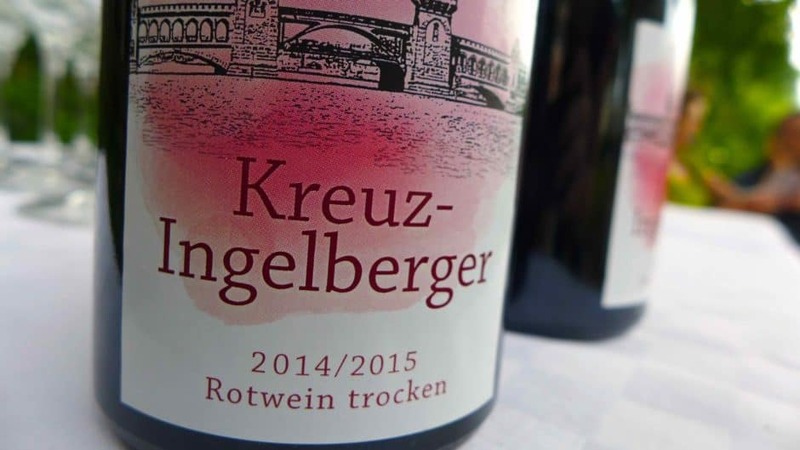 Grown in Berlin, made by Simone Adams: the “Kreuz-Ingelberger” Pinot Noir. Photo: Megan Spencer (c) 2017. Oliver and Peter in the vines. Photo: Megan Spencer (c) 2017. Viewing the vines with the winemaker: the Kreuzberg crew with Simone Adams. Photo: Megan Spencer (c) 2017. 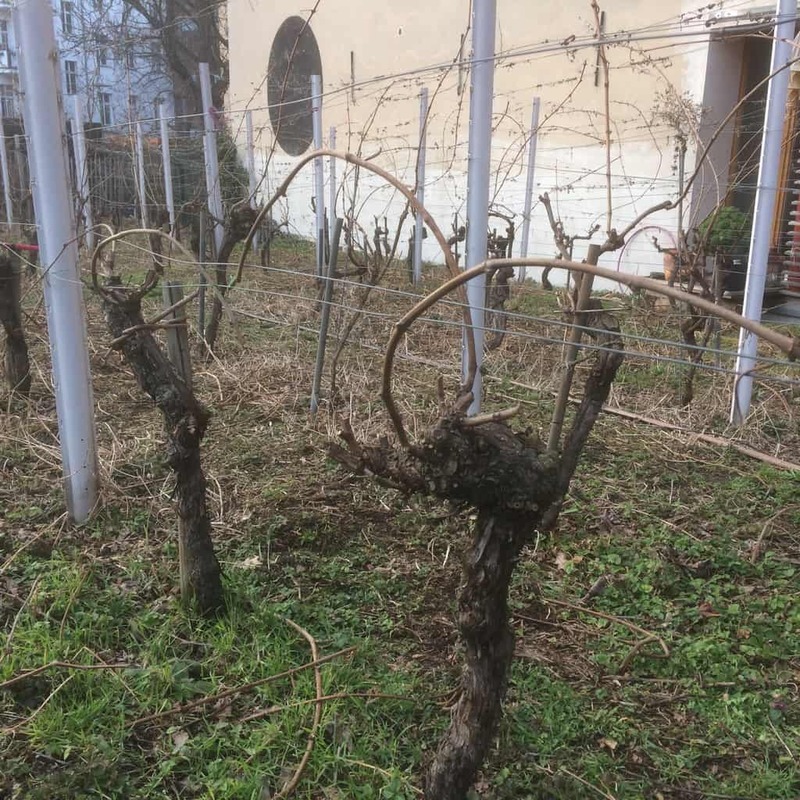 Old vines in Kreuzberg. Photo: Oliver Budack (c) 2016. Wiedersehen! 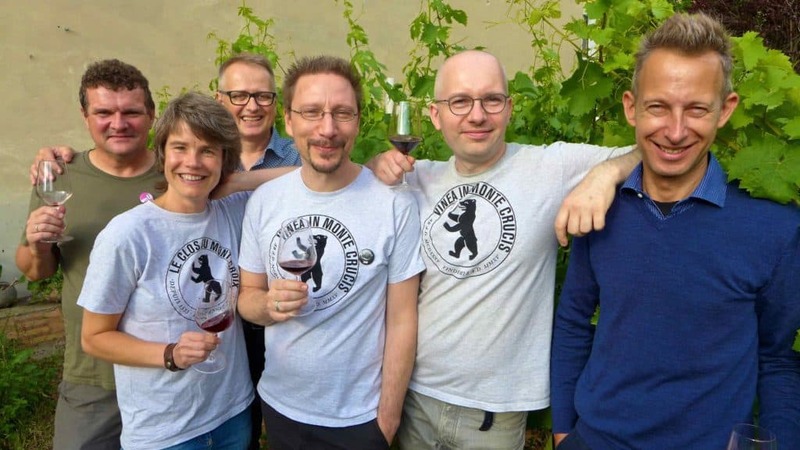 The happy picking crew: (back) Peter, Oliver; (front) Silke, Matthias, Timo and Stephan. Photo: Megan Spencer (c) 2017. Photos: Megan Spencer & Oliver Budack (c) All rights reserved. 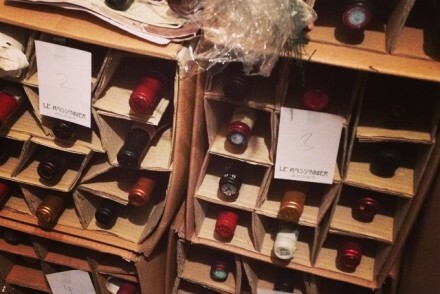 Many thanks to the volunteers of Kreuzberg vineyard, Timo Bieber and Simone Adams. 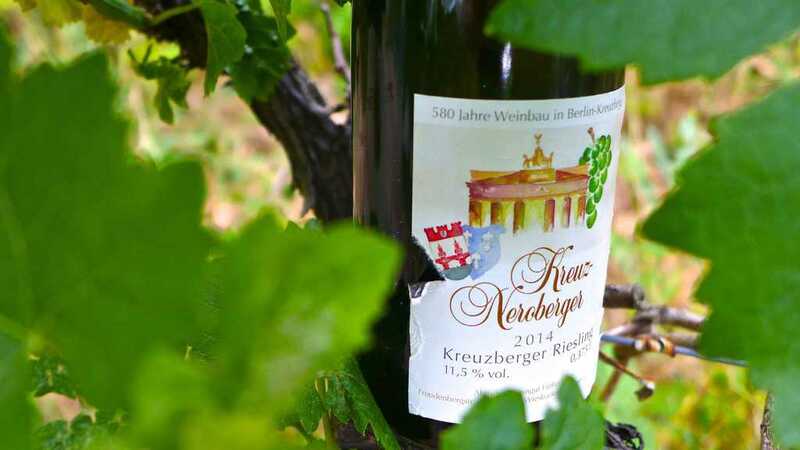 More about the Kreuzberg vineyard here and here.